Why would you buy a home that is not on the market? Buyers have many reasons, including looking for deals on homes in foreclosure, finding the perfect piece of real estate, or simply noticing an empty house that could become a good investment for “flipping.” Finding unlisted homes and actively pursuing foreclosures, or homes in pre-foreclosure, isn’t a beginner’s real estate venture. If you’re starting out, enlist the services of a savvy real estate agent, a real estate attorney, and a good title insurance company. These experts can give you valuable advice and open doors that may be closed to the layperson or casual investor. 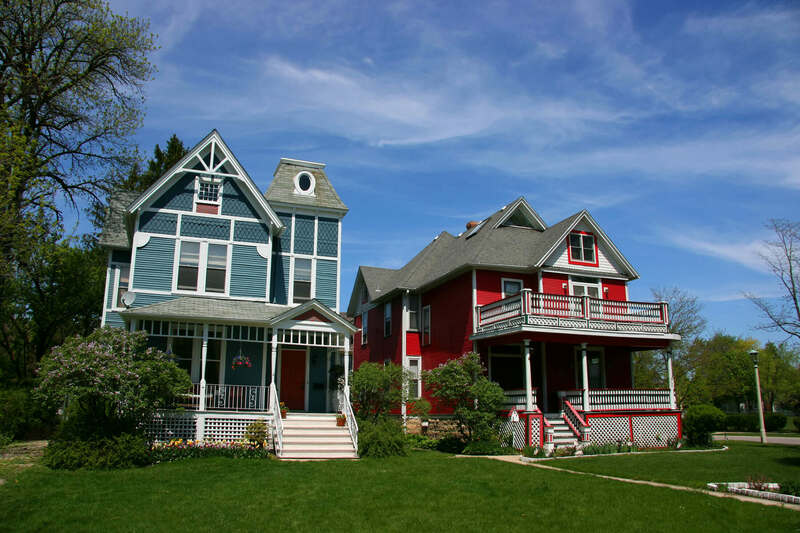 If you’re looking for unlisted houses in the greater Chicago area, there are several things to keep in mind. Determine why a home is not on the market – if the home is occupied, use your real estate agent as an intermediary to approach the owner about a possible sale. A letter from a real estate agent to the homeowner, detailing why their client is interested in purchasing the house, is better than a blind offer directly from the buyer. If a home is vacant, but not listed for sale, more research is needed to determine why. The home may be condemned, part of litigation, or have another reason for being unoccupied. Obtain a list of homes in foreclosure from a foreclosure listing service. These lists will give details about the home’s specifications, including the sales history. In the greater Chicago area, many homes in foreclosure are listed on a foreclosure auction site. Homes in pre-foreclosure receive a Public Notice of Default. Those that are issued in Cook County may be found here. They may not be listed in the MLS, and typically are for sale with a sense of the urgency by the owner. Illinois is a judicial foreclosure state – foreclosures must take place in a court of law and are a legal judgment. Filings are a matter of public record and may be found here. Retain the services of a real estate attorney. They can guide you through the regulations surrounding short sales, title disputes, and tricky real estate closings. What are your obligations to your realtor when buying unlisted homes? For real estate transactions, the seller typically pays the commission for both the buyer’s real estate agent and their own. However, in a transaction where the home is not listed, there isn’t a seller’s real estate agent. The real estate commissions are handled as part of the closing process. However, the fees for your own agent, if you are the buyer, should be negotiated in advance of the closing process, so there are no surprises with the closing documents and the agent is fairly compensated for their services. If you’ve used your real estate agent to help find unlisted properties, research the details of houses, or compose “blind offers” to sellers, they will need to be paid for their services. You can choose to ask the seller to pay a percentage of the sale as commission, as they may not have found a buyer – you – without the efforts of your real estate agent. You may also work out an arrangement with your real estate agent in advance of a sale for their efforts finding unlisted homes. This can take the form of a finder’s fee, or if you’re planning to use the agent for future investments, consider negotiating a retainer for their services. Homes in pre-foreclosure will receive a Public Notice of Default. These are public record and may be found online at the county clerk’s office. Check with the local bank foreclosure filings to see which homes are on the docket. Often, the owner may not have considered selling the home, if they are choosing to appear in court. They may be open to a quick, private sale to avoid a foreclosure judgment. Hire a real estate agent with experience finding pre-foreclosures and closing deals quickly. Obtain pre-foreclosure and foreclosure listings from the bank. Please note that many banks will not negotiate directly with a potential buyer. Instead, work with the homeowner, or use your real estate agent to negotiate directly with the homeowner for a private sale prior to the bank legally taking ownership of the house. Research the property you are interested in. Observe from the street, and check into the paperwork listed as public record for the property, including sales and public insurance filings. Be sure to check for any public information on mechanic’s liens, foreclosure liens, second mortgages, or any other filings that suggest problems with the home’s title. The home may not be sold until these liens are satisfied. At this point, using a title company to help your research is advised. Your research should yield an approximation of the home’s value. At this point, contact the owner directly (preferably in writing, versus knocking on the door) with an offer for a short sale. Many owners are given a deed in lieu of foreclosure by their banks (basically cash to leave quickly) and may be open to a quick sale to enable them to relocate. Once you have come to an agreement with the owner regarding the price of the home, have your real estate agent tender a written offer to the lending bank. A short sale transaction, because the amount owed on the home is more than it’s worth, must have written approval from both the owner and the lender. When a home is officially in a bank foreclosure, it becomes the property of the bank. Many banks will have foreclosure listings available – your real estate agent will be able to find a list of these, even if the properties haven’t been listed for sale or auction yet. Each bank handles foreclosures differently. Some sell through an agency, while others handle auctions in-house. Simply call the bank and ask for their REO department. An agent in that department can advise you of that bank’s particular practices for selling foreclosed homes. Banks may receive multiple offers on foreclosed properties, especially if the property will be sold at auction. Your real estate agent can handle the negotiations for you, as well as provide property details and guide you through purchasing a house from a lender. A Bank Foreclosure Property and an REO property are both owned by the lender – essentially, there is no difference between the types of property. Check county records for homes in pre-foreclosure. DuPage County clerk’s office will have public notices of default here. Obtain listings of bank foreclosure suits. Illinois is a judicial foreclosure state, and foreclosures must be determined in court. Retain a real estate agent with experience in foreclosures. Research the property, including observation from the exterior, conduct a title search for liens or other issues, and the sales history of the house. Determine the value of the house and the dollar amount of your offer. Have your real estate agent craft a letter of intent for the homeowner. Offer a short sale, if applicable, to the owner. Once a price is agreed, submit your offer of a short sale to the lending bank via your real estate agent. Speak with the REO department of area banks to obtain information on how each lender disposes of foreclosed properties. Allow your agent to guide you through the negotiation process with the bank, especially if there are multiple offers for the home, or if it is at auction. Check county records for homes in pre-foreclosure. Lake County clerk’s office will have public notices of default here. Determine the value of the house and the dollar amount of your offer. Have your real estate agent compose a letter of intent for the homeowner. Check county records for homes in pre-foreclosure. Will County clerk’s office will have public notices of default here. Research the property, including observation from the exterior, conducting a title search for liens or other issues, and the sales history of the house.